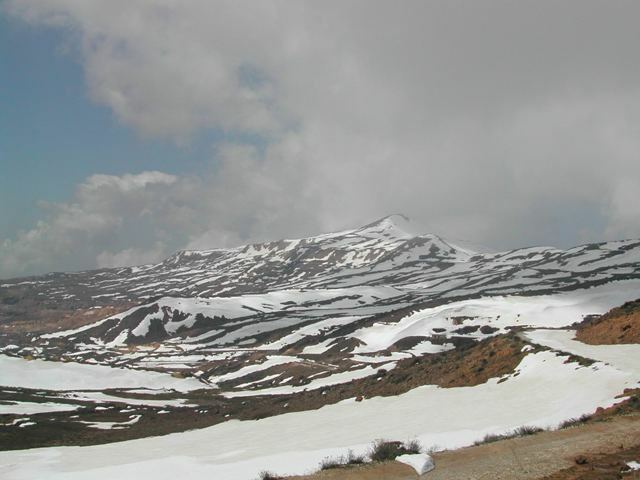 Location: North-west of the town of Zahle, on the southern flanks of Mount Sannine in the Mount Lebanon Range. Explanation: A3 At least six biome-restricted species breed on site – Black-eared Wheatear, Sardinian Warbler, Spectacled Warbler, Cretzchmar’s Bunting, Black-headed Bunting and Western Rock Nuthatch. A4iv Records during both spring and autumn in 2004 and 2005 indicate that more than 20,000 soaring birds pass over the site annually. 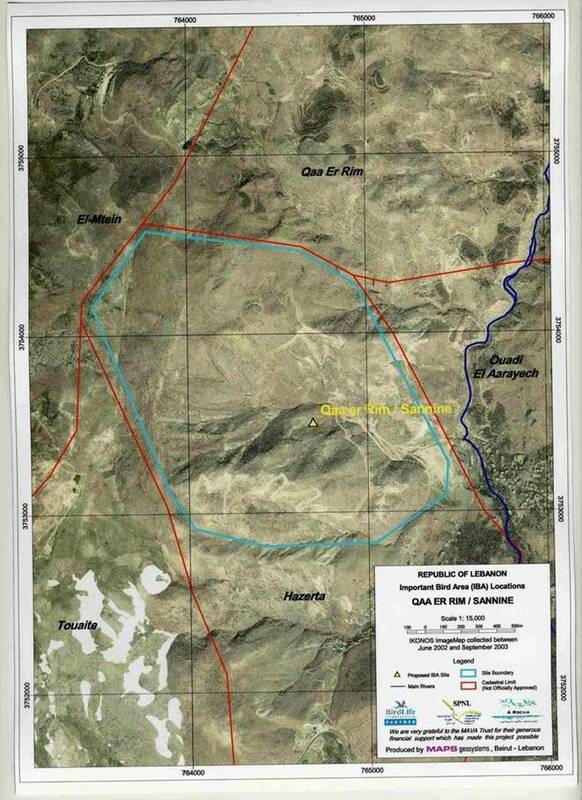 Threats: Hunting especially during autumn migration season, overgrazing/over browsing, extraction industry, habitat degradation from 4 Wheel Drive vehicles, proposed tourism, a ski resort is proposed at the site. Current conservation measures & future plans: much of the mountain is protected from hunting and grazing, some trees have been planted by the Rim water company that owns most of the site. Proposed conservation measures; discussions are still at an early stage with the Rim estate management.